Rams women’s basketball guard Keneca Pingue-Giles was named Player of the Year at the Canadian University Sport (CIS) All-Canadian Awards Wednesday night. 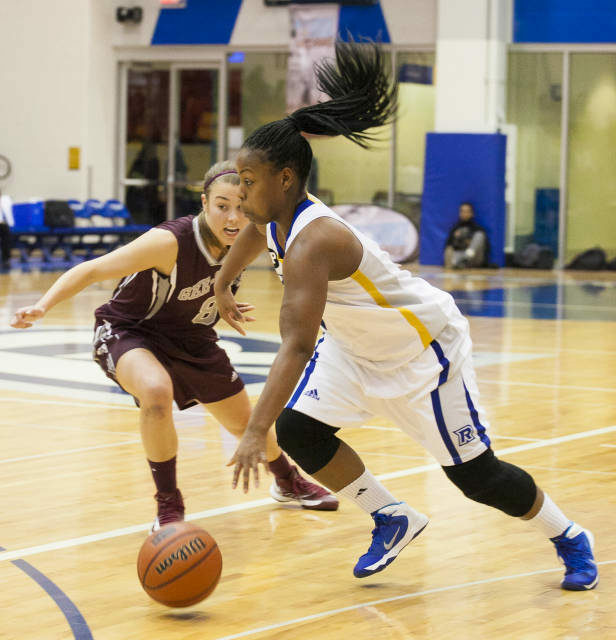 She is the first Ryerson female athlete to win this award. Pingue-Giles was also given this honour at the Ontario University Athletics championships on March 13, where she also won Defensive Player of the Year. This is her fifth year playing for the Rams. The 5-foot-7 guard leads the team in average points per game with 17.6, and is second in rebounds per game, with 6.8. She had the second highest points per game average in the OUA this season, only behind Mackenzie Puklicz of Western University. The Rams finished their regular season 16-3, and play the University of Regina in the CIS quarter-finals Thursday March 17 at 8 p.m AST (7 p.m. EST) in Fredericton, NB. Newsroom manager and copy editor at the Ryersonian. Lover of big dogs, coffee and everything outdoors.